I think it’s a common law of the world that neighbours are always rivals with each other. Here LG and Samsung from the same neighbourhood are top most rivals in the world of electronic gadgets. Both the companies are concentrating in taking away the business of each other’s when its time. So when they introduce new gadgets, these companies care enough that the product must be of higher quality than that of rival’s. 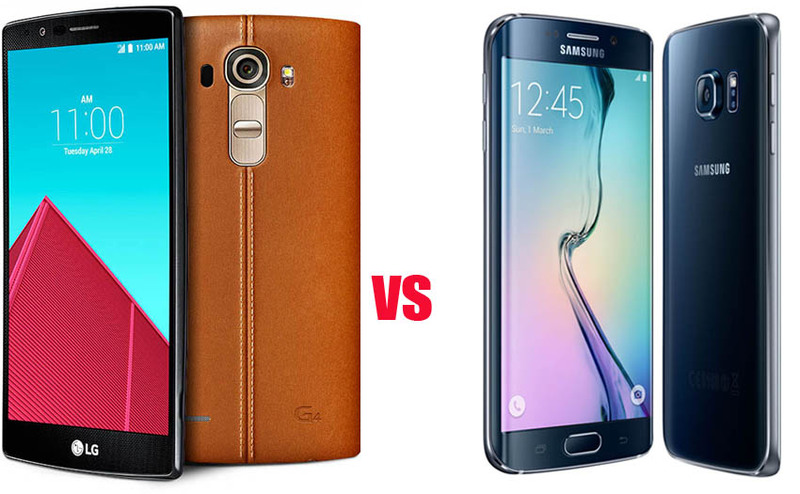 The latest launches by both company’s namely, G4 from LG and Galaxy S6 from Samsung, clearly shows this. Here in this article I tried to bring out a comparison between the two. LG G4 comes with a soft leather cover giving it a new face of being close to the organic nature, while Samsung Galaxy comes with cool glass and metalsilver, which gives an industrial look. Samsung already had a set-back in their previous version, so they concentrated on rectifying it by making essential changes on Galaxy S6. In the meantime, G4 can be seen as advancement from its predecessor. LG G4 selected premium leather as its outer body just like Moto X. Along with this LG made its body slightly curved. Samsung made Galaxy S6 with metal and glass. When usage is considered, leather is prone to get damaged due to continuous exposure to dust and dirt. While the glass panels of Samsung is vulnerable to scratches. 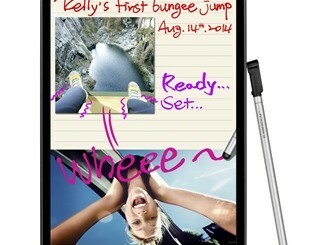 But the design is more pleasing with Samsung. G4 is packed with a screen of size 5.5 inches, while S6 comes with a smaller screen of just 5.1 inches, but it has perfected the display with AMOLED technology. LG G4 has got a front facing camera with a lens of 8MP, which is just 5MP in case of Galaxy S6. But the rear camera comes with same and similar power with 16MP lens with LED flash. It seems that LG has concentrated on providing battery with more capacity with 3000mAh, while Galaxy has only 2550mAh. 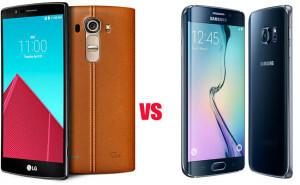 So it is obvious that LG G4 is going to remain live than Galaxy S6. LG G4 is powered by the processor from Qualcomm namely Snapdragon 808 with 6-Core. It is packed with 64 bit and ARM Cortex-A53 and ARM Cortex-A57. Again graphics is supported by Adreno 418. In-built storage comes to be 32 Gb with the support of 3GB RAM. On the other hand Galaxy S6 is powered by the processor of Exynos 7 with 8-Core capability. Again it is supported by ARM Cortex-A57 and ARM Cortex-A53 with 64 bit processor. The graphics is supported by Mali-T760MP8. It has got an in-built storage capacity of 128GB with 3GB RAM.